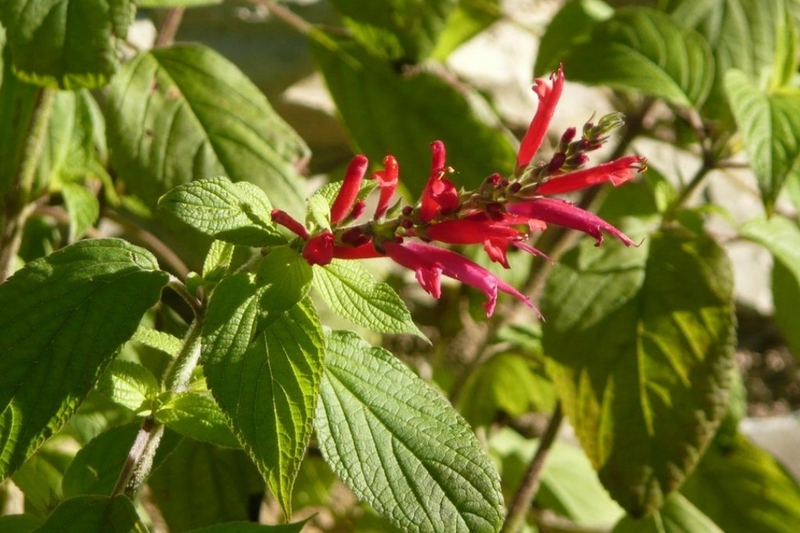 Pineapple sage (Salvia elegans): growing, planting, caring. A large species - up to 1 meter high and wide - with red flowers and a distinctive pineapple flavour. Among the sages, pineapple sage can be recognized by its pineapple smell. Sages have opposite leaves, simple, toothed, sometimes felted, on square stems. The flowers are borne by vertical stems, in ears or in clusters, and they have two lips, the upper is erected, and the lower is bearing two teeth.